Someone from the audience asked him what the one core insight into the universe he has that is most at odds with Silicon Valley conventional wisdom. 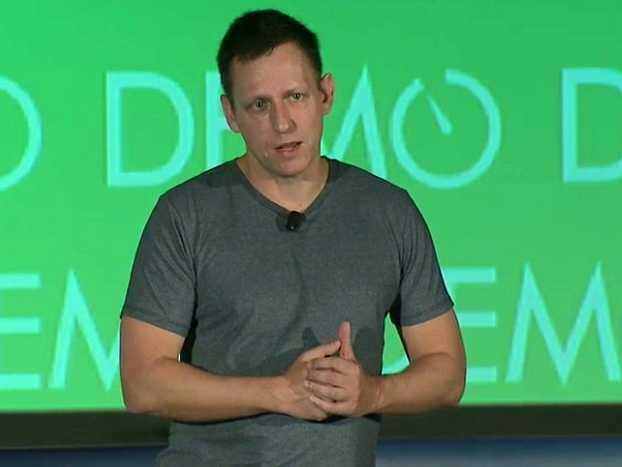 Thiel joked that there are a bunch of things that he believes are contrary to what people in the Valley believe, and that it would be “dangerous” to say one that he is radically at odds with. Instead he chose to elaborate on one that he’s “somewhat at odds with,” but is important all the same. He doesn’t think that Silicon Valley should stop what it’s doing, though. It’s actually doing really well and should be doing more. “And I think that we should never lose site of how countercultural it is to a broader society, which would prefer a complete stasis at this point because the broader society is dominated by a fear of the future, not hope for the future,” he said.